India is one of the leading exporters of cereals. It is the second largest producer of rice and fruits in the world. Overall, the country is self sufficient in food production. Yet iron and zinc deficiencies are widespread even among well-nourished children. The study, conducted by researchers at Indian Institute of Horticultural Research, Bengaluru, has found that the country as a whole requires 8,170 tonnes of iron and 4,412 tonnes of zinc in the food to meet nutritional iron and zinc requirements of the entire population. Availability of iron from plant and animal food sources is estimated at 10,939 tonnes per year and that of zinc at 6,335 tonnes per year. In other words, there is enough supply of iron and zinc through food sources in the country. The intake of the two micronutrients is also adequate. Agricultural crops such as cereals, pulses, oilseeds and sugar contribute the major share of the requirements, at 82.8% for iron and 78.6% for zinc. This is followed by the animal husbandry sector, including milk and milk products, meat, mutton, beef, pork, chicken and eggs, which account for 3.9% iron and 11.7% zinc. The horticultural sector (including fruits, vegetables and nuts) contributes 12.9% iron and 9.1% zinc to national production. The fisheries sector is at the tail end, providing 0.42% iron and 0.62% zinc. The researchers have published a report on the study in a recent issue of journal Current Science. Speaking to India Science Wire, A N Ganeshamurthy, leader of the research team, said, “There was a need for research efforts to focus on methods to reduce phytate content of Indian foods to enhance bioavailability. This should be at the forefront of nutritional programmes rather than trying to improve the quality or yield of crops. “Before a new variety is released for cultivation by a breeder, the Institute/State/National-level variety release committees must take into account the issue of absorption of iron and zinc. Efforts to improve the quality and yield of crops or the ‘biofortification programmes’ will prove to be a failure, if they do not address the issue of bioavailability of nutrients. Further, we must do all we can to ensure a healthy soil and a healthy production environment, with good agricultural practices,” he added. 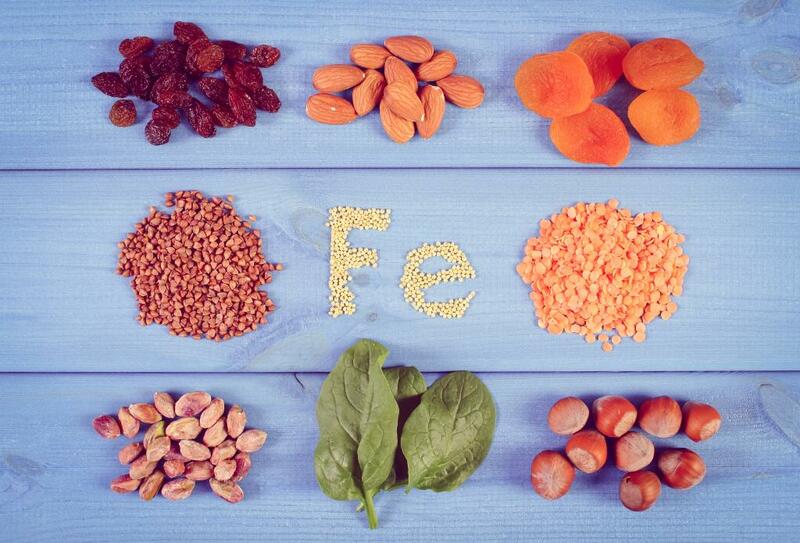 Iron deficiency, which may or may not result in anaemia, leads to substantial loss in physical productivity in adults. Iron deficiency during pregnancy is associated with maternal mortality, pre-term labour, low birth weight and infant mortality. In children it affects development and increases the likelihood of sickness. Highest prevalence of anaemia is seen in children around 15 years of age, in pregnant women and elderly people. Zinc deficiency, in turn, may cause hair loss, affect the taste and smell, among other things.